You may not be aware of it, but the foods you’re consuming every day could be gradually damaging your health and cutting your lifespan. But how do you know? For numerous people, toxic foods are hard to detect, particularly for those who’ve already cleaned up their diets and believe they are eating healthy. For example, I recently saw an old client who came in because she was getting headaches. She had already gone gluten-free, was a trained nutritionist, and overall had a very healthy diet. But examining her, I found that she had signs of chronic low-grade inflammation. This client came in because she wanted food allergy testing. But what she left with was an elimination diet. Here’s why. Allergy Testing can be illuminating, but the “gold standard in figuring out if foods are causing inflammation, is to cut out the suspect foods for about a month and see how you feel when you reintroduce them. I suggest that everyone do an elimination diet at least once. So how do you do an elimination diet and not make it difficult? Here is my easy 6-step plan for doing an elimination diet. You might be shocked by what you learn! Do you, like my client also get headaches? Do you have skin problems? Digestive symptoms like gas, bloating, or constipation? Allergies? How’s your energy? What about your mood? Do you feel like you suffer from brain fog? Joint pains? These are just a few of the symptoms of food sensitivities. 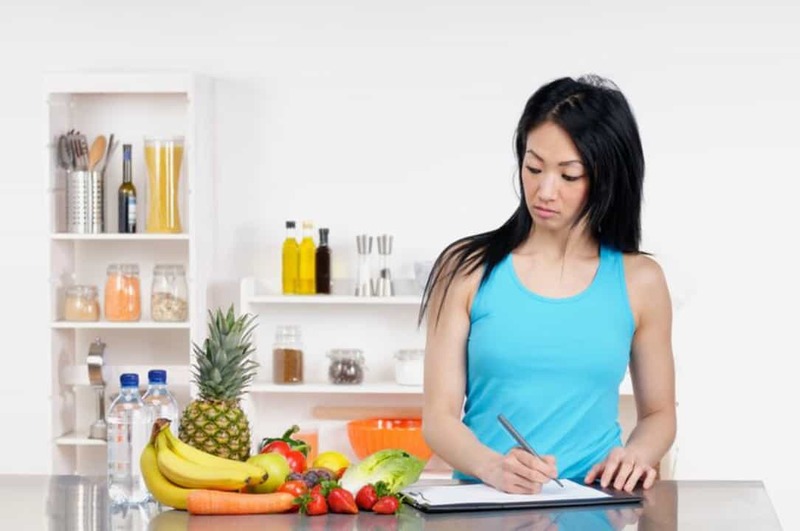 So, before you begin an elimination diet, scan your body from top to bottom, and make a list of everything you notice, however, subtle or long-standing the symptom has been. This process sets you up to see significant changes when they occur. 2. Eliminate the usual food suspects for 30 days. No gluten, dairy, eggs, soy, corn, peanuts, red meat and shellfish for 30 days. Antibodies, which your body produces when food allergens are present, take approximately 30 days to leave the body. So if you don’t eliminate things that you’re sensitive to for at least 30 days that time, you will not get an accurate picture. If this is your response, do not panic! You can do this. The diet requires a little grocery shopping and taking a few extra minutes a day to prepare food. We’re all habituated to fast-food, easy preparation, and taking two seconds to eat a meal. The problem is that typically food made and consumed this way makes us unhealthy over time. New habits take 21 days to form, which is also why we’re doing a 23-day elimination diet! We want these new habits to die hard. 30% lean chicken, lamb, pork, and fish. 70% vegetables, legumes, nuts, seeds, and gluten-free grains like quinoa. DO eat lots of fibre, fresh whole foods, and homemade meals. DO eat lots of healthy fats including olive oil, ghee, coconut oil, and avocados. Do NOT eat packaged or processed foods if possible. They are often full of additives, preservatives, and sugar. Do NOT replace gluten products with gluten-free bread, cereals and crackers. After all, a muffin is a muffin whether it is gluten free or not. This process is also much simpler than people make it out to be. On day 31, choose one food you eliminated but not more than one, and eat it. See how you feel over the next four days. If you have no reaction after four days, eat that same food again, and for a second time, notice how you feel. From there, it’s up to you whether or not to re-incorporate that food into your diet on a regular basis. Once you have decided whether a particular food is good or bad, pick another one and follow the same steps. 6. This process works best when you are self-aware. During the elimination diet and the reintroduction process, be aware of how you feel. Maybe you’ll see changes you weren’t anticipating. Maybe your sleep quality or your energy level is better. Maybe the redness in your skin is gone, or your belly is flatter. No blood test can tell you what life will be like without a particular food. When you find out for yourself by doing an elimination diet, you could be saving yourself a lifetime of annoying symptoms, and in some cases, even life-threatening diseases.